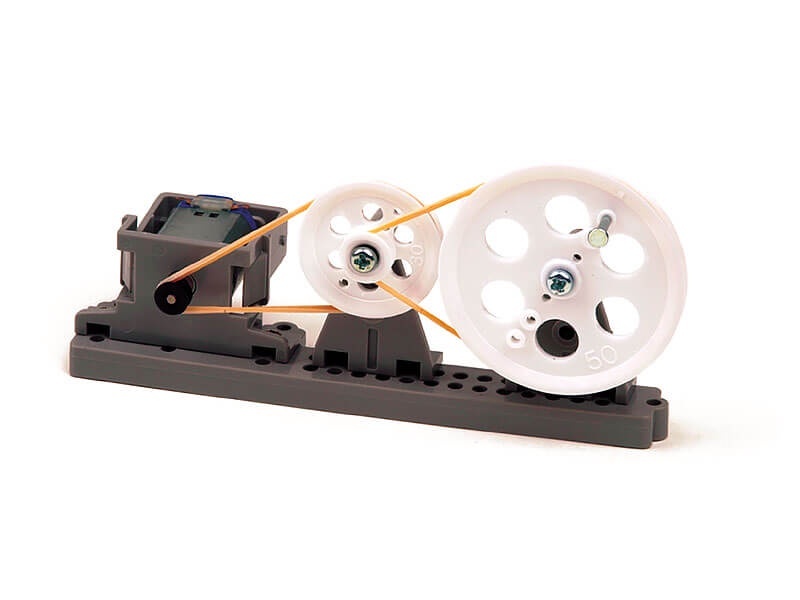 A great introduction to the pulley, the Pulley Unit Set is similar in function to a gear box. Five pulleys in all are included in the set along with a universal arm and pulley mounts. A motor and motor mount box are also included. Combine this set with other Tamiya Construction and Robotics products and let your imagination run wild.